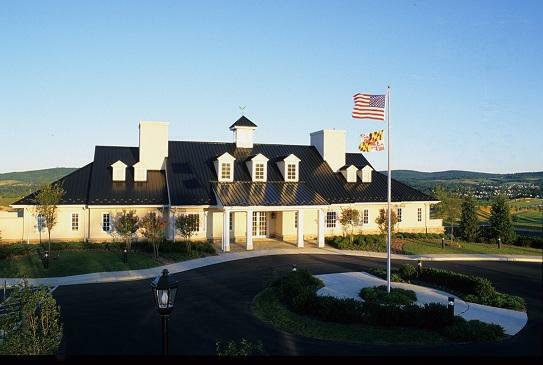 The clubhouse is the perfect place to relax after playing a round. 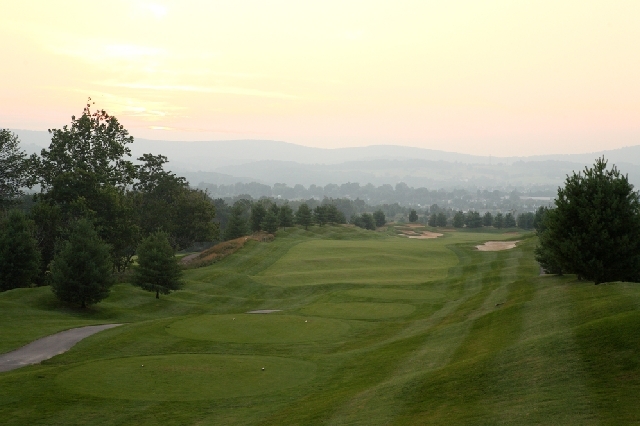 It overlooks the Middletown Valley and offers breathtaking views of the course and encircling mountains. The interior is elegantly appointed with dark woods and a stone fireplace. Enjoy a variety of great foods, from huge salads and sandwiches to mouth-watering crab cakes, at Lock, Stock & Barrel. Diners can eat indoors with natural light streaming from the large windows or outside on the covered patio. The clubhouse also contains spacious locker rooms and our fully-stocked Pro Shop - make sure to stop by for the latest golf equipment and apparel. The photo at right is the view from the clubhouse.